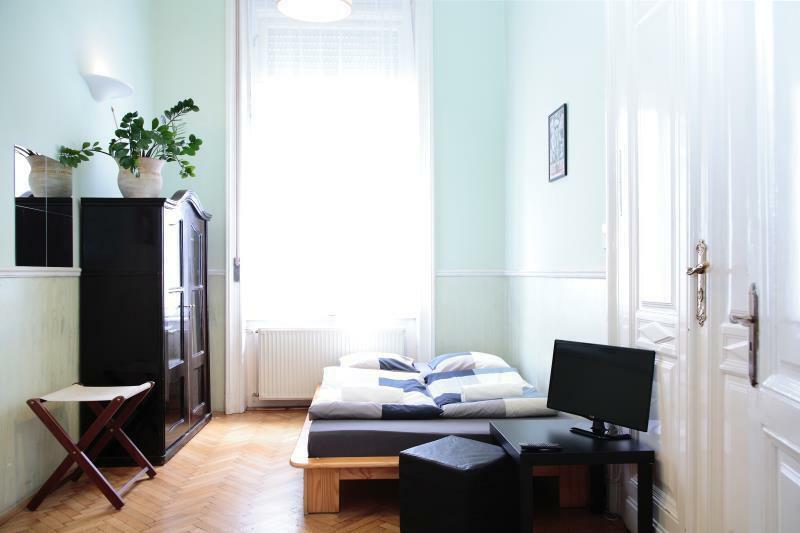 ﻿ Maverick Hostel and Ensuites Budapest. JIMAT di Agoda.com! Ada soalan mengenai Maverick Hostel and Ensuites? Direka untuk kedua-dua tujuan perniagaan dan percutian, Maverick Hostel and Ensuites terletak di lokasi strategik di 05. Pusat bandar - Belváros; salah satu kawasan yang paling popular di bandar tersebut. Keseronokan pusat bandar hanya sejauh 0.5 km sahaja. Bagi anda yang ingin pergi agak jauh, Klotild palaces, Parisi udvar, Pegazus Tours merupakan beberapa daya tarikan untuk pelawat. Kemudahan dan perkhidmatan yang disediakan oleh Maverick Hostel and Ensuites memastikan penginapan yang menyenangkan bagi para tetamu. Semasa menginap di penginapan yang indah ini, tetamu boleh menikmati Wi-Fi percuma semua bilik, meja depan 24 jam, Wi-Fi di tempat awam, khidmat bilik, pengangkutan lapangan terbang. Tetamu boleh memilih dari 19 bilik, semuanya yang akan memberikan suasana ketenangan dan keharmonian. Di samping itu, pihak hotel menawarkan aktiviti rekreasi untuk memastikan anda mempunyai perkara untuk dilakukan sepanjang penginapan anda. Kemudahan yang hebat dan lokasi yang sangat baik membuatkan Maverick Hostel and Ensuites menjadi asas yang sempurna untuk menikmati penginapan anda di Budapest. Katil tambahan adalah tertakluk kepada ketersediaan. This was the first time for me to agree the over 9 rating on agora. 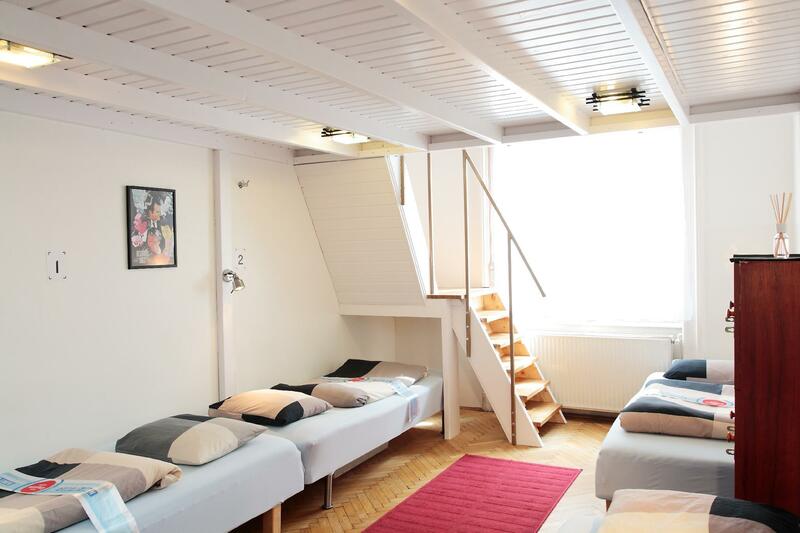 The hostel locates in very gorgeous building and center in the city. Common space and kitchen are spacious. Free tea and coffee available. Staffs are very kind and full of hospitality..... I rate this hostel full marks!!! I stayed at the 12-bed dorm, and beds were tidy and fairly comfortable. They even made my bed on the third day, even though I was checking out the next day. I strongly recommend checking in early so you get to pick the bed in the best position (i.e. against the wall, not too close to other beds). There was only one ensuite bathroom in the room, but more bathrooms outside. I never had an issue with having to wait to use the bathroom. There are lockers both inside and right outside the room. And every bed gets a tray to place non-valuables which you can stow under your bed. But the highlight of my stay was the professionalism, warmth and hospitality of the staff! Tom gave me a smooth check-in and explained everything well, Schilla and Fanny both made me feel very welcome at the Froccs tasting night (highly recommended if you want to chill and socialise), and Mata was always ready to help out with guests' queries, and would happily research online if he didn't have the answers. Maverick came highly recommended from other travellers that I met before I arrived in Prague, and no regrets there. Would definitely stay again, and that's because of the lovely staff that made my stay so much more memorable :) Thank you! 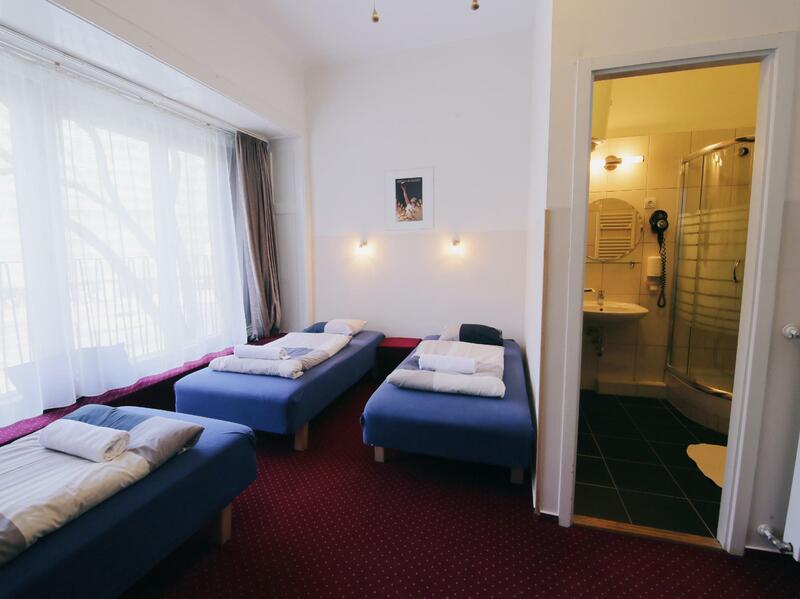 The hostel is located right outside a metro station and within walking distance to many places of attraction in the Pest side (up till the Hungrarian parliament). Room is large and beds are comfortable. Staff are friendly. 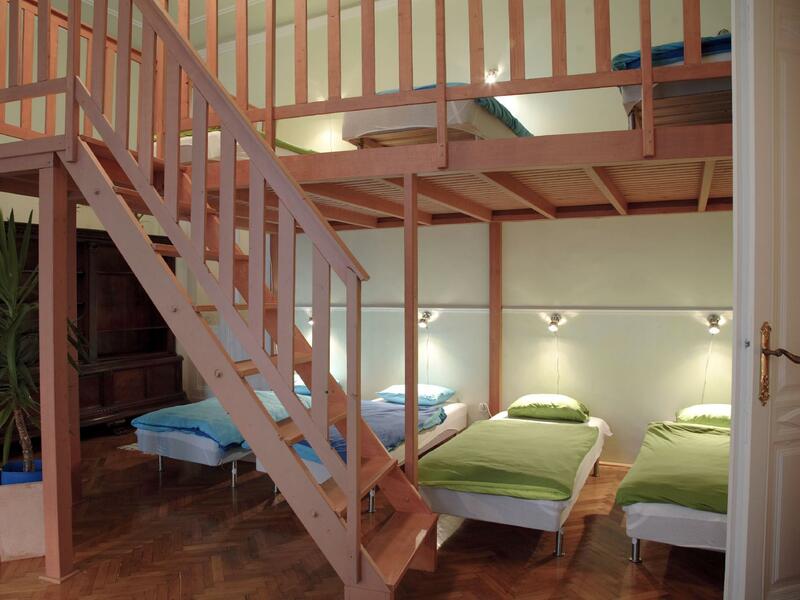 A small but clean hostel converted from an elegant old building. Needed to climb up lots of stairs with your luggages. Expected very small room but okay for one night stay. The well kept communal kitchen was a plus with free tea and coffee and lots of utensils. Major attractions in Pest were within walking distance or you could take the underground railway nearby. Very nice hostel with nice ensuites room. There are shared common area for breakfast or relax outside my room. Room is clean, tidy and comfortable. Low price and high quality. Staff very helpful with good English. Moreover, it just less than one minutes to the subway, very good location! Highly recommend for budget traveller! The place is hard to find. If you are taking a taxi or car, there is no parking space. Not in a very good location if you are not travelling by foot. good hotel, good location, Great service, everything perfect. It was good value for money. Hundreds of small restaurants within walking distance. Stayed in double room ensuites on Sep17. Good hot shower and clean hostel overall. Impressive with the helpful and cheerful frontdesk service, he helped us to print our flight boarding pass for free, gave us free goulash voucher at nearby restaurant etc. Highly recommend for anyone. At the beginning, there was no sign at the entrance so I struggled to find the entrance. But the vibe, location and staff, everything was so nice. There was really quite. Coffee and tea are free and I could use plates, fridge and kitchen freely. I stayed at The Maverick while visiting Budapest this past week. I have to say that I was very comfortable. I can be a very picky about bathroom cleanliness and sheets, but this place was amazing! My sister recommended me to stay here and I was not disappointed. The bathroom and the bedroom were amazingly clean where I actually felt comfortable enough to sleep and shower freely, whereas it is very difficult for me to adjust to new environments. The front desk staff were incredibly helpful and accommodating to my abnormal travel itinerary. They provide coffee and tea and have kitchens in the suites that become very handy when you are starving at three in the morning. Would stay here again and definitely recommend to anyone travelling to Budapest. The hotel management told me about that the hotel was over book and they sent email to me about some computer error when booking..i told them they should contect to agoda ...becauuse i book under agoda...but they say sorry the room was not available and let me checkin to another hotel...that moment i walked for 15 min to another hotel they arrange for because i need hotel room and need safe enviorement..(not easy to reach that hotel too)......i am happy to visit budapast but not for hotel room...that all i can tell you.. The position is very nice, it's close to attractions and metro station. Cozy and warm room, and there are kitchen, living room, locker, free wifi....... The shower rooms are spacious, but too less, sometimes need to wait. Everything is great about this place. Good locality. And excellent cleaning services. There is only one issue though, the room was too hot in the summer and the fan wasn't speedy enough to cool the room. However we were given standing fan without additional charges. It was fine, I stayed two nights.They had an iron for my shirt,it worked...impressive.. The kitchen was cool, even had free coffee and filter machine. Hey lets not get over excited, I had a double room it was clean and the furniture was solid. If you smoke beware you have to climb two sets of stairs after. Hotel location was perfect with the metro right outside the Hostel. Great Market Hall is just a few minutes away by walking. Downside is that we had problems with the shower drain and the WC overflowed when we flushed and that we have to use the toilet of the next room which is luckily vacant at that time. Wifi was not working on our 2nd Day which I believe does not happen most of the time. Friendly and helpful staff. Great value for money and recommended for travelers on a budget. We had a great stay! 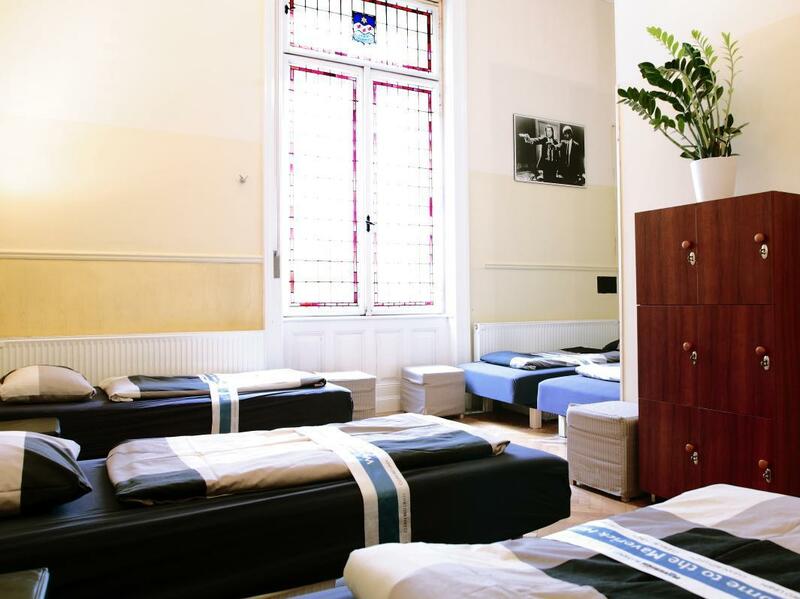 Staff is friendly, location is really central, the hostel is located in an ancient building which adds to its flair... Rooms are very comfortable and quiet, tea and coffee is complimentary + a lot of activities organized if you travel on your own. We'd love to come back!